As nearly as I could tell, the vertical downspout along the edge of the building ends level with the top of the drain grate. 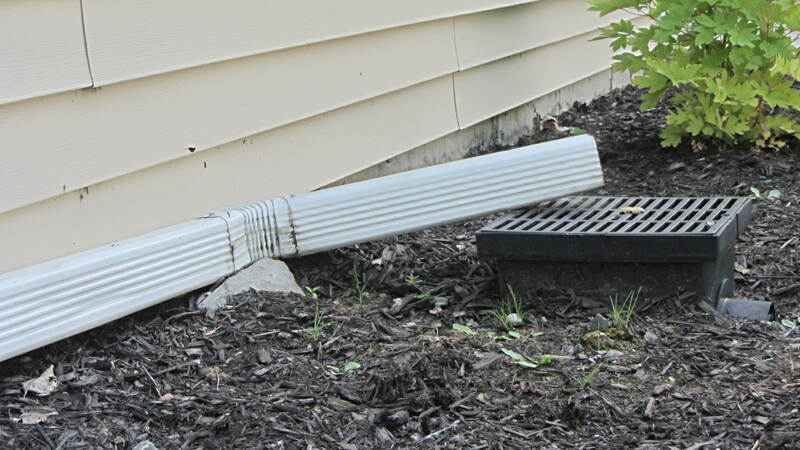 If that convenient rock were high enough to level the last length of pipe, the elbow would be above the end of the downspout. The architectural drawings for the apartment complex surely didn’t look like that.